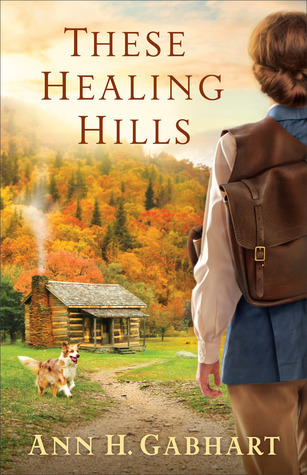 These Healing Hills by Ann H. Gabhart has an expected publication date of September 5th, 2017 by Fleming H. Revell Company and is a historical romance novel. Francine Howard has her life all mapped out until the soldier she planned to marry at WWII’s end writes to tell her he’s in love with a woman in England. Devastated, Francine seeks a fresh start in the Appalachian Mountains, training to be a nurse midwife for the Frontier Nursing Service. Deeply affected by the horrors he witnessed at war, Ben Locke has never thought further ahead than making it home to Kentucky. His future shrouded in as much mist as his beloved mountains, he’s at a loss when it comes to envisioning what’s next for his life.When Francine’s and Ben’s paths intersect, it’s immediately clear that they are from different worlds and value different things. But love has a way of healing old wounds . . . and revealing tantalizing new possibilities. About the author: Ann H. Gabhart grew up on a farm in Kentucky. By the time she was ten she knew she wanted to be a writer. She’s published over twenty novels. She and her husband have three children and nine grandchildren. She still lives on a farm not far from where she grew up. She loves playing with her grandkids, walking with her dog, reading and, of course, writing. Her Shaker books, set in her fictional Shaker village of Harmony Hill in the 1800’s, are popular with readers. The Outsider was a Christian Fiction Book Award Finalist in 2009. Her Heart of Hollyhill books are Small Town, America books set in the 1960’s. Angel Sister, a Rosey Corner book set during the Great Depression, will be followed by Small Town Girl. Visit Ann’s website or her two blogs, One Writer’s Journal and the Hollyhill Book of the Strange. Giveaways several times a year.